Most start-up non-profits are operated by a single passionate individual with little or no money, relying on the generosity of their friends and families. We get it. We have been there. The criteria requirements below are things that should be on your radar and working toward to become a legitimate non-profit. 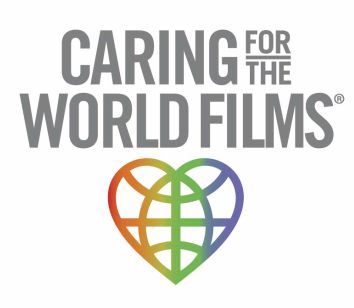 (In 2007, we "googled" "How to become a non profit" when we created Caring For The World Films and did it ourselves). Have a clear and well thought out mission statement or concept that includes documentation chronicling steps to sustainability. Must be recognized as a non-profit by state and local government agencies. Possess verifiable, certified DBA (Doing Business As) in the working name of the non-profit. Be in operation for at least two years. Organization must have well established and verifiable relationships with US and foreign community leaders, government, and NGOs. Preference will be given to organizations focused on international humanitarian aid however, domestic organizations will seriously be considered. If this describes your organization, click on the button to submit for consideration. In the comments box, indicate the category and a brief description of your mission as well as your contact info and website URL.